When approaching the new year, many of us want to create a new image for ourselves. Some get a new haircut, buy a new pair of shoes, or have an entire makeover. Do you want to have a new look but too busy to go to the salon? A simple trick of parting your hair the opposite side that you usually do will instantly give you the new look that you desire. If you’ve been parting your hair on the left side, try parting it on the right this time. Parting your hair correctly will give you the volume and life that you want your hair to have. You can even turn to Pinterest for some hair inspiration. You can test out new hairstyles during your free time. If one of your New Year’s resolution is to amp up your style, you should start by using the right accessories to your advantage. The good thing about accessories is that it can instantly complete your look and give you a new makeover without having to spend too much money. Invest in pieces that are classic and timeless, such as a leather clutch bag, or a nice statement necklace. 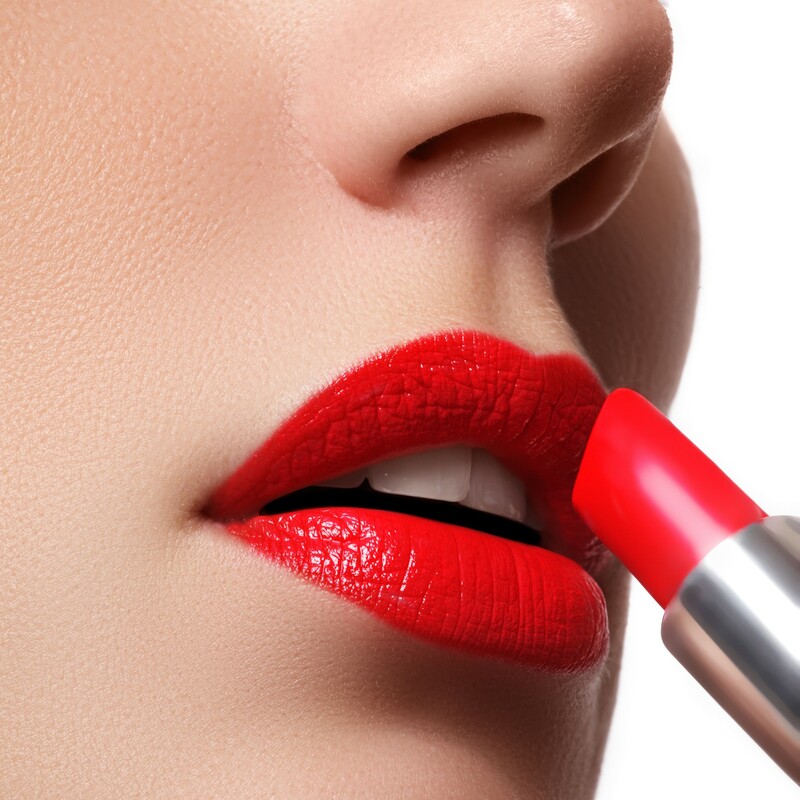 Red lipstick instantly turns you from ordinary to glamorous. Even if you’re just wearing a plain white t-shirt and an old pair of jeans, you’d instantly look chic and classy with a red lipstick. If you’re a newbie in the red lipstick department, and scared of which hue to choose, go for reds that are blue-based. This hue typically compliments many skin tones and makes your teeth look whiter. Buying a red lipstick is like buying jewelry, select one that you instantly fall in love with. Though it only occupies a small portion of you, your manicure can say a lot about you. If you want to look chic and classy, have a nice manicure with great nail polish. You can never go wrong with oval-shaped tips painted with pale pink polish. To increase your style, it may be time to up your manicure game a bit. Choose warm brown-beige colors to instantly give your nails the best they deserve. Velcro rollers, the ones used decades ago, are now trending again. If you want to get a professional blowout but don’t want to spend the money on it, use this classic styling tool. They’re also perfect for giving your hair extra volume on days that you don’t wash it. Use a little hairspray, divide your hair into 8 sections and roll your hair under. You can simply improve your hairstyle at home without stepping foot in a salon. Pointy toed shoes are now re-emerging back to the fashion world. Many women are falling in love with these pairs of shoes, since it instantly makes them feel more womanly and classic. It also elongates their legs and compliments almost all body types. To perfectly create an elongated physique, pair them with a sleek pencil skirt or wide-leg pants. If you want to buy a new pair, consider getting ones that are half size larger than your actual size. This way, you can wear them comfortably without pinching your toes. Of course, don’t completely say goodbye to a good pair of sneakers or classic shoes. There are plenty of brands that offer cute and fashionable shoes. You don’t need a whole skin care regimen to have youthful glowing skin. A good foundation can do this for you. Use a good sponge or beauty blender to create a perfect finish. One that perfectly blends the color and gives an illusion of a perfect complexion. Want to achieve the red-carpet radiance of your favorite Hollywood actress? You can add two drops of skin luminizer to your foundation and instantly make your skin look young and fresh. If you’re always complaining that you spend 20 minutes searching for an outfit for the day, it’s time to make an appointment for a closet make-over. Examine every piece of clothing, accessories, shoes, and bags. Get rid of those that you haven’t used for quite a long time, chances are you’ll never use them again. You can either donate some of them to charity or sell them on eBay. You’re hitting two birds with one stone here, you’ll get a clean and organized closet, plus you’ll be able to earn money by selling your used items. You can use the money earned to update your closet with new items that are currently on trend or items that are timeless. For example, consider buying a new pair of adidas sneakers. They are casual, and can be worn with mostly any outfit. An overall professional make-over is good if you have the time and resources. You don’t need to spend too much money, or hire a professional stylist to upgrade your style. By following these simple steps above, you’ll face the new year with a more stylish and confident version of yourself.